Wouldn’t it be great if we could rewind the clock to the year 1901 and head to Springfield, Massachusetts? You’d witness the birth of the Hendee Manufacturing Company and the origins of the Indian Motocycle Manufacturing Company we know today. To celebrate its lengthy heritage (and sell some fine garment), Indian has unleashed a new range of ‘1901’ T-shirts for 2018, all of which feature hand-painted graphics that nod to historical moments. Every Tee is made in California using lightweight cotton and all feature a contemporary cut that for a more fashionable fit. The Grand National Tee is slated to be a best seller, as it celebrates Indian’s historic return to pro flat track racing in 2017, with the team going on to win the overall championship. 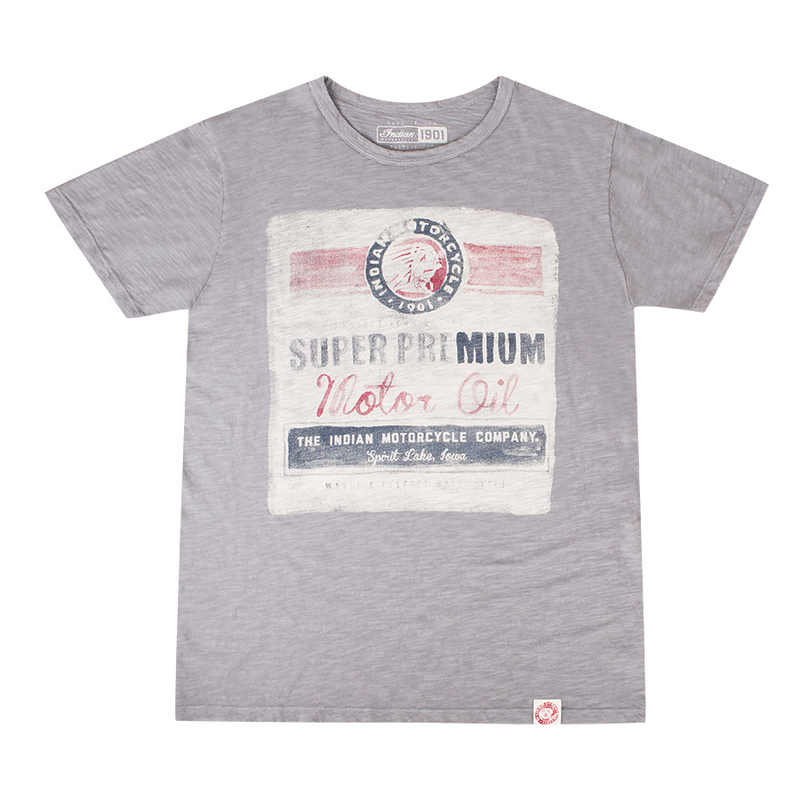 Other prints include a cool Motor Oil design, which features a faded oilcan design with a Spirit Lake reference – a hat-tip to where the current crop of motorcycles are manufactured. Prices range between £33 and £38 for the various designs and can be purchased from Indian’s online store.